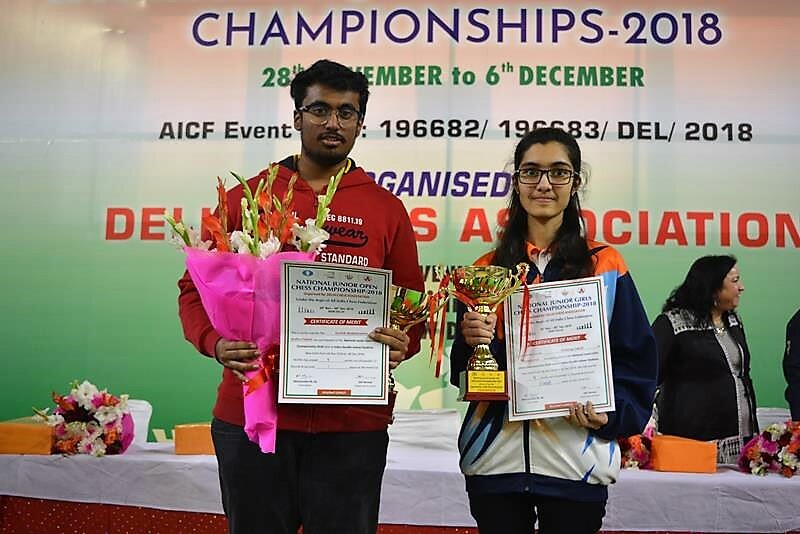 Title-favourite and top seed GM Karthik Venkatraman overcame IM Raghunandan KS with his superior attacking moves to emerge new national junior’s champion while WIM Sakshi Chitlange outplayed Priyanka K to lift the junior girls’ crown at Indira Gandhi Stadium, New Delhi today. 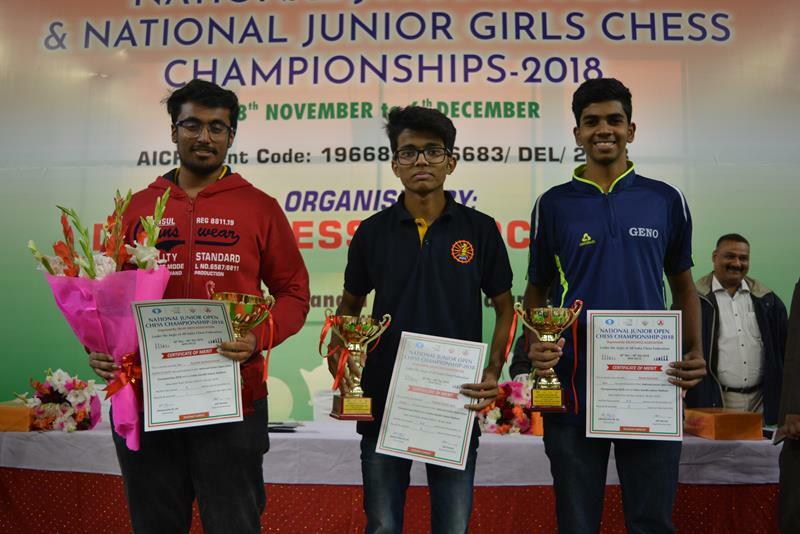 For the most part of championship, GM Karthik Venkataraman was leading without any difficulties but tasted an unexpected defeat in the penultimate round by FM Wagh Suyog of Maharashtra. This loss of Karthik gave an opportunity to four more players to clinch the championship. 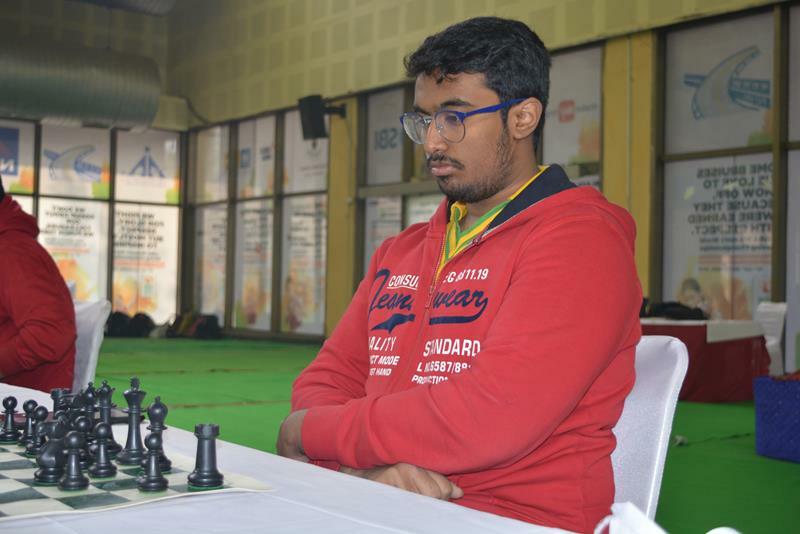 In the final round, however, he comfortably won against IM Raghunandan K S of Karnataka. The top-two boards had ended in draws and Karthik’s 9.0/11 points was enough to clinch the title. For the runner-up position, seven players were tied with 8.5 points. On a better tie-break score, IM Rakesh Kumar Jena of Odisha secured 2nd position. While FM Nitish Belurkar of Goa secured the third position. 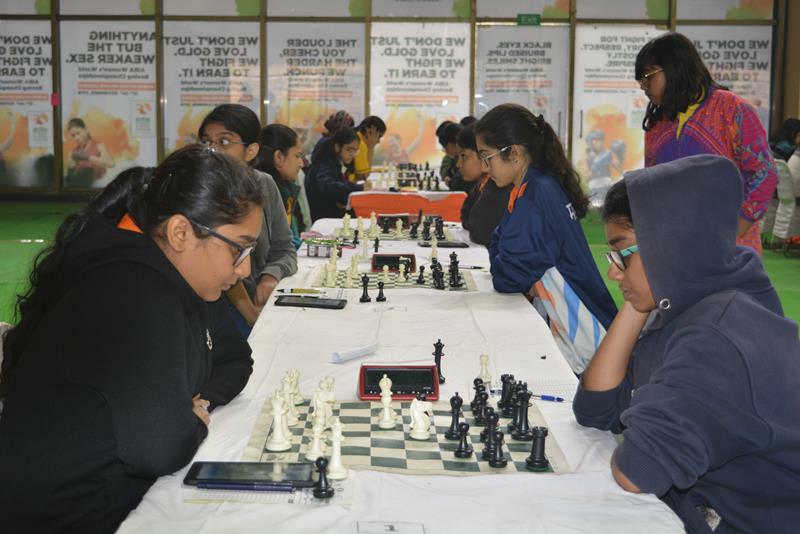 In the corresponding girls section WIM Aakanksha Hagawane of Maharashtra was all the way leading throughout the Championship. In the final round she lost to Meghana Ch of Kerala, this loss of Aakanksha made her land in the 2nd position . WIM Chitlange Shakshi of Maharastra, who played and won on the 2nd board, clinched the title with 9 points. 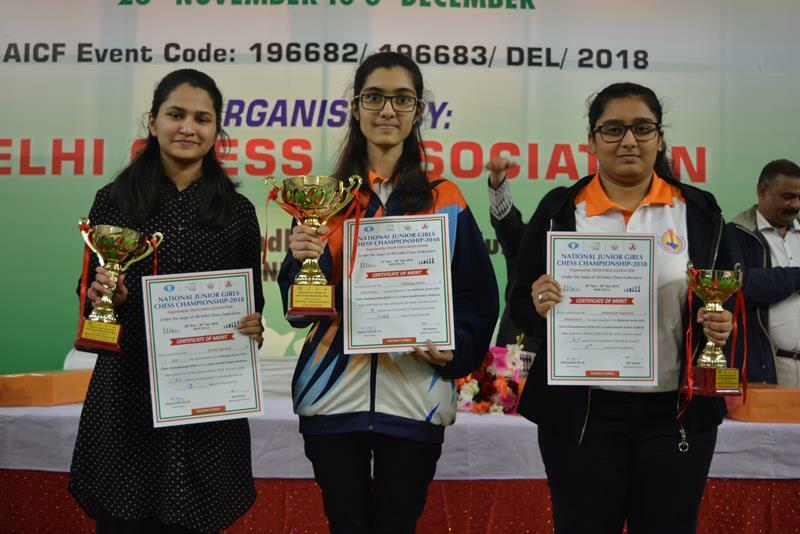 Delhi’s WIM Vantika Agrawal secured the third position. Arbiters Team with Chief Guest Mr Bharat Singh Chauhan, Hon’ble Secretary of AICF. Arbiter team worked very hard throughout to make the event a grand success. Deputy Chie Arbiter IA Palaniappan P, IA Jitendra Choudhary, FA Chitaranjan Taorem, FA Shivakant Mishra, FA Kaviraj Sawant, FA Stella Sharmila, FA Mrityunajay Singh & SNA Puneet Jaiswal. Delhi Chess Association, the star organiser of India, provided nice venue and hospitality to players and parents. 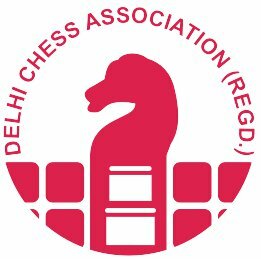 Thanks to Delhi Chess Association for organising this mega and prestigious event without difficulty. 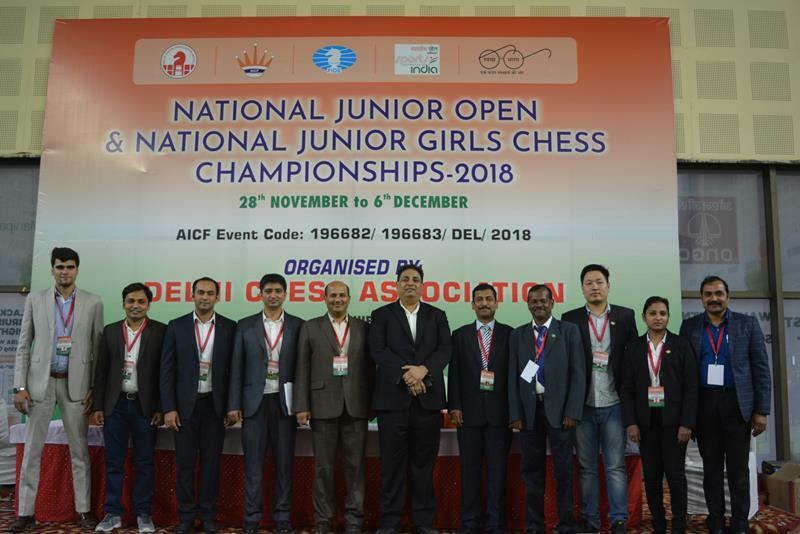 Next Next post: 2018 Senior National Open Chess Championship Kicks off in Jammu.